Structured data and schema is code written in a structured format that it makes it easy for search engines such as Google, Yahoo!, Bing and IOT devices to decipher and interpret. Once this code is comprehended, search engines use it to show results in a formatted manner. For example; suppose you have a food blog. Adding structured recipe data to a recipe can alter your search engine results, while making it much “richer” in terms of the content that is displayed. In this example, along with the page name, the URL and the brief explanation of the search result, the time needed to cook the absolute best ever lasagna is also mentioned. You can also see the number of calories the lasagna contains. All of this additional information has been made possible through structured data. If you want to get such a rich snippet for your webpage, then you’ll have to add structured data to your website. Once deployed appropriately, search engines use the added structured data to understand the contents of your webpage. Consequently, you will get an improved arrangement in the search results through the use of the rich snippets. Schema, also known as Schema Markup, is a code or semantic terminology that you include on your digital properties to facilitate the search engines in providing more specific information for your customers.Let’s take a look at some examples to understand what schema markup is all about and how it can help you in improving your search engine real estate. In the above example, you will notice that the business is listed with basic information obtained through the crawling of the site which includes the meta description and is slightly enhanced with site links that Google was able to find. Schema can be primarily categorized into two indispensable types: Creative Work and Product Schema. Lets jump in and go through some of the most commonly used. An article can be a unique piece or part of an analytical document. It is also possible to distinguish between a bulletin article, a methodical article, and a blog article. Whether you have a book in paper format or a digital version, you can markup every kind of literary piece, from the writer’s credentials to the awards it secured. If you plan to offer courses in future, then schema can be of great help. Presently, Google is piloting small-scale experiments with selected applicants to understand schema markup performance for courses. Music is another property that can be marked up by Schema. In fact, there are numerous Schema options of interest for music, for example, MusicRecording, MusicPlaylist, and MusicComposition. Adding schema to the recipes on your food blog or cooking webpage can get your recipes highlighted directly in search results. In fact, as mentioned in the example above, your recipes can start garnering additional search engine real estate. You can also apply the structured data approach to TV shows and Movies as well. Schema markup will allow users searching for movies return a rich result with poster art, reviews, actors’ information, and also the possibility of ordering tickets for a show. Videos aren’t left behind when it comes to schema markup. In fact, Google is working on ground-breaking methods to get videos in the search results, for example, with AMP. Through this, Google will include your videos in Top Stories entries and AMP carousels. If you happen to own an event company, then your thirst for effective search engine optimization can be quenched by marking up your event entries with the suitable Event Schema. Consequently, it will lead search engines to highlight your events. Whether you own an ecommerce or content site, you can benefit from an accurate business and organization schema. This also can help to solidify your NAP and benefit your local search engine optimization efforts. Properly deployed schema markup will also help you get listed with a Knowledge Chart, or other rich entries in the search engines. Similar to the business schema, it is vital to mark up your products as well. The placement of Product Schema can enrich your product listings with the supplementary data needed to generate rich snippets in SERPs. Visualize how amazing it would be to obtain search results with additional information, for example, pricing, accessibility, and reviews! If you sell products, then Product Schema should be a significant aspect of your structured data approach. Reviews and rankings also have a substantial impact on search results. Whether you are a service provider, run an online business, or manage sales online, you definitely should focus on user reviews and feedback to attract more customers and exhibit how reliable your services are. Applying schema for the first time may seem to be a daunting task. However, adding structured data and schema is indispensable for making your business stand out and garnering more search engine real estate. 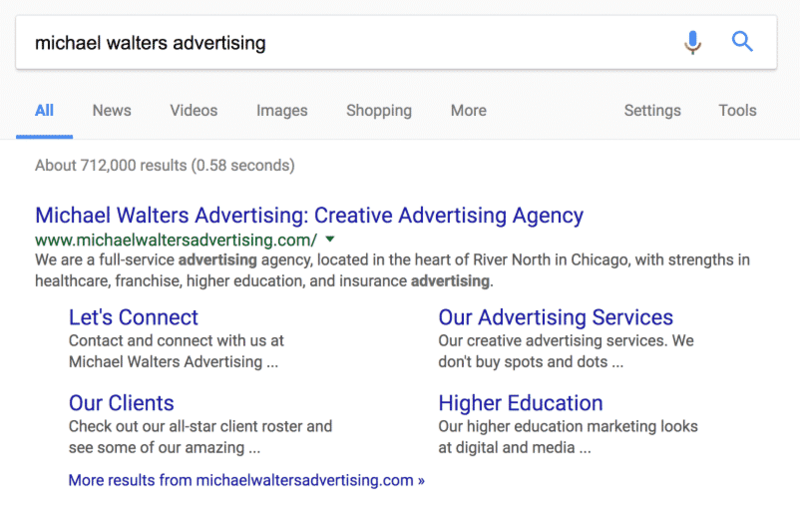 While adding structured data correctly may not provide you superior rankings straightaway, it will indirectly improve your website’s search results. Improved listings offer prospects an expedient method to cherry-pick a result from the list of webpages. Improving your webpage through schema can make you a genuine contender for prospective consumers. Schema can also help you diminish the bounce rate by improving the context of your listing. As the world of structured data is evolving at present, your business can get a hands-on chance to get a leading edge over your counterparts. For instance, if you are the owner of a restaurant who successfully marks up the 300 five-star rankings, you are at an advantage from your rivals who are not marking up their rankings and reviews. Start with your keyword research and recognize those queries that indirectly or overtly are asking a question. Find queries that already use the answer box. If they are already there and owned by your competitors, then it means you can easily catapult them by offering a more properly formatted, more exact, more comprehensive, or higher-ranking response. Even if you do not hold a first position ranking, it is okay. While having a numero uno position can help, it is not mandatory as Google will practically extract from any first-page result. The language and format are of critical importance when making it to the Google Answer Box. As a result, match the list, table format or paragraph, and use the rational response to the search words in your title, description, tag, and section header. Remember, precision is the key. Google is inclined towards robust, more precise answers. Once applied correctly, schema can work wonders for your website. Search engines are constantly coming up with new ways of displaying search results and the majority of these new ways use schema data to do so. In the world of the future, you cannot escape the use of structured data. Make structured data and schema an indispensable part of your marketing efforts to get an edge over your competition.